Spring is just around the corner, and that means something else might be lurking around the corner, too: A nasty pothole. February, March and April are the worst months for potholes, according to Popular Mechanics, because roads are going through a constant process of freezing, thawing and then freezing again. That can lead to cracking, and when you add water to the mix, it’s a perfect recipe for potholes. It’s bad news for cars, though, because potholes can damage your tires, wheels and even your suspension. Here are some tips on how you can avoid them or at least minimize the damage — as well as what to do when you can’t. Drive at safe speeds so you have time to react. Keep your car in good working order. Look out for puddles, which can hide potholes. Take particular care at night, when it’s harder to see. Never swerve suddenly into an occupied lane to avoid a pothole, however. That can create an even worse situation than driving through a pothole in the first place. What if You Can’t Avoid One? Sometimes you just don’t have a choice — you’re going to have to drive through a pothole. The Michigan DOT recommends slowing down as you approach the pothole, then letting off the brakes before you hit it. This helps your vehicle absorb the impact better. And take the pothole with your wheels straight, because hitting it at an angle can cause additional damage. 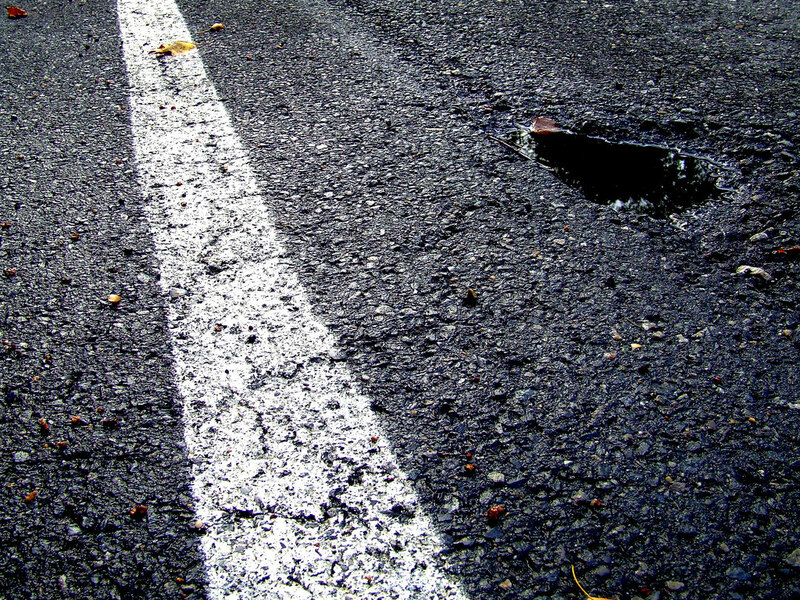 Even if you have to hit a pothole, having a well-maintained car can lower the likelihood of damage. So keep your tires inflated properly, and make sure your suspension and steering are in good shape, too. Who Pays for the Damage? Okay, so you’ve hit a pothole. Is your car damaged? If it feels different when you drive it (for example, pulling to one side), or you can see that your tires or wheels have been affected, get the car checked out. The good news is, you probably won’t have to pay for repairs — or the full amount, at least — if you have collision coverage. That typically will cover pothole damage, subject to your deductible. But you should check with your independent insurance agent to discuss your specific situation. Prevention is the often the best medicine — and that holds true for the damage potholes can cause. So use caution on the roads, be on the lookout for hazards, and follow the tips above to minimize the impact potholes have on you this season! Top image by Flickr user Joshua Davis Photography used under Creative Commons Attribution-Sharealike 2.0 license. Image cropped and modified from original. Copyright © 2019, Kingspoint Insurance Agency, Inc. All rights reserved.